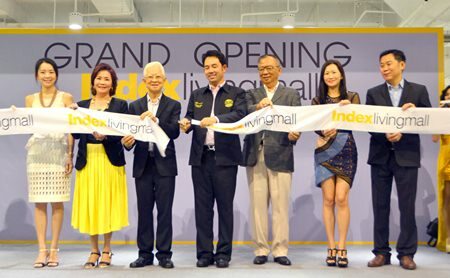 Physically, Index Living Mall only moved over the road, but the company says its new 18,000-sq.-meter showroom is a huge move up. 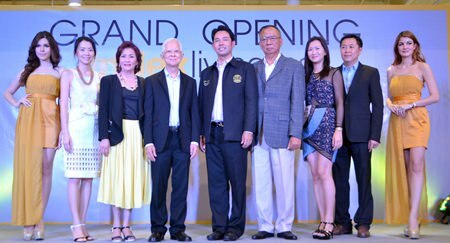 Mayor Itthiphol Kunplome joined top Index executives CEO Pisit Patamasatayasonthi, MD Kridchanok Patamasatayasonthi and Deputy MD Khanthong Udommahantisuk at the grand opening of the 600 million baht location on Sukhumvit Road July 18. 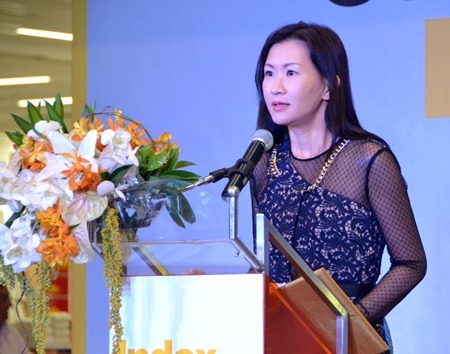 Index used the two new floors to showcase a collection of high-end and design furniture aimed at upper-class customers, business owners and foreign tourists. 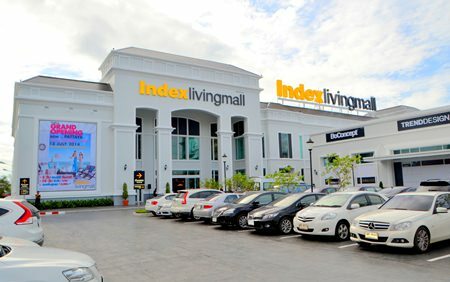 Index Living Mall Co. 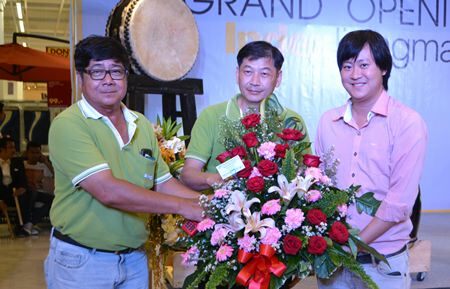 Managing Director Kridchanok Patamasatayasonthi said the company is in the midst of an expansion plan that saw new Index locations in Nakhon Sawan and Nakhon Ratchasima in the first half. 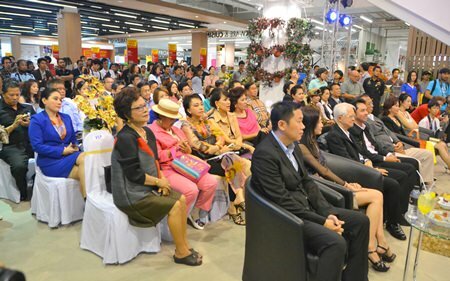 The Pattaya branch will be followed by a new location in Samut Sakorn. 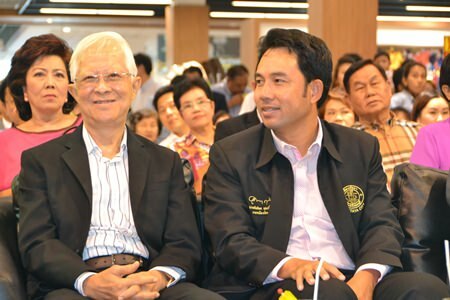 (L to R) Pitphim Patamasatayasonthi, Khanthong Udommahantisuk, Pisit Patamasatayasonthi, Mayor Itthiphol Kunplome, Pol. 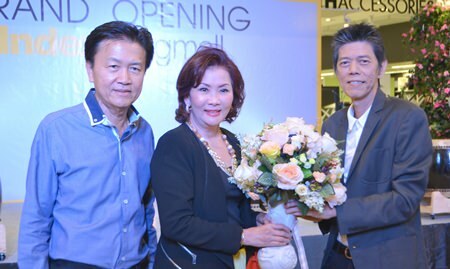 Gen. Jongsak Phanitkul, Kridchanok Patamasatayasonthi, and Khwanchai Kitkongjorn cut the ceremonial ribbon to officially launch the new branch. 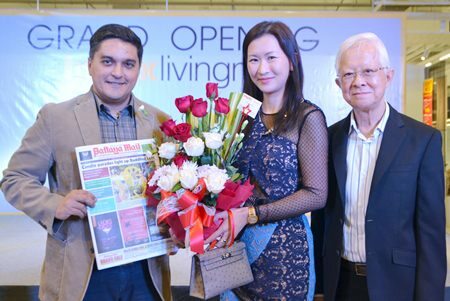 She said the Pattaya move was needed because the former location offered no room for expansion due to the Highway 7 access road. 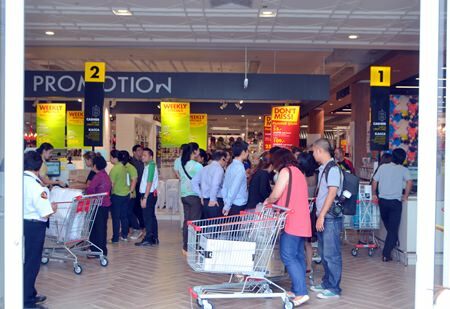 The new store offers a larger range of brands, including Winner Furniture, Serta, Theraflex, Kitchen and Built-in, electrical appliances: Power One including imported furniture from Denmark. 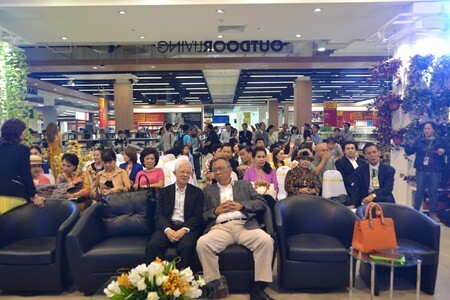 It also houses an Au Bon Pain café for hungry shoppers. 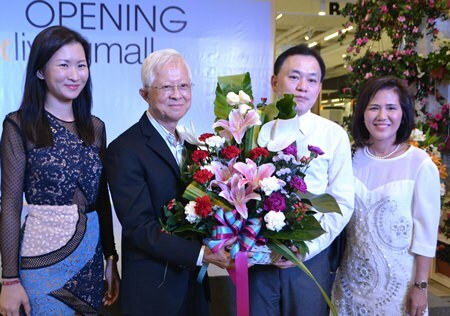 Itthiphol congratulated the company on its new store and said he believes the growth of the company reflects the potential of Pattaya’s economy and will fulfill the needs of local residents. 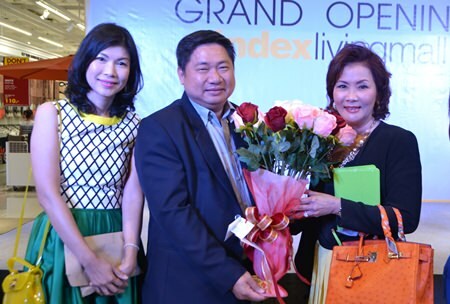 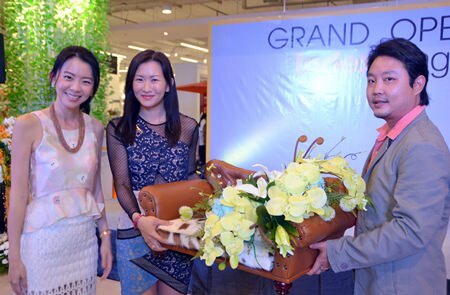 Kamolthep Malhotra, General Manager of Pattaya Mail Media, congratulates Kridchanok and Pisit Patamasatayasonthi on the opening of Index Living Mall’s newest branch in Pattaya. 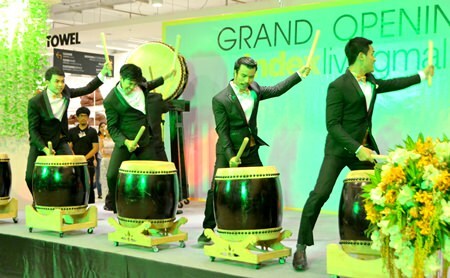 Wild drummers got everyone’s blood flowing during the opening ceremony. 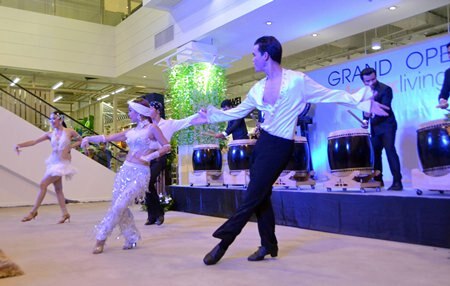 Beautiful and handsome dancers were a popular special attraction during the opening of the new Index Living Mall branch on Sukhumvit Road. 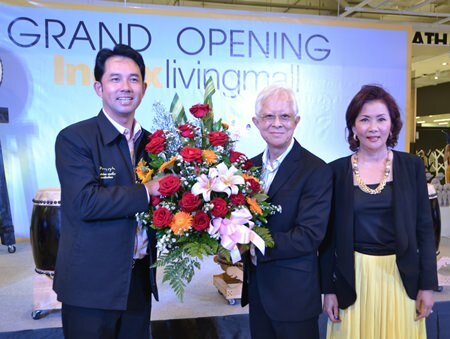 The new Index Living Mall branch on Sukhumvit Road at the Central Pattaya three-way intersection is easily found.